The XS C team were delighted to make their Blackpool debut and compete alongside the A and B teams! They gave a performance of their Toccata routine that they were proud of given the inexperience of most of the dancers, and were very happy to place 10th. The XS B team performed their Vogue routine for the last time, and will be starting work on their new routine in December. Aiming to make the final, they gave what was felt to be their best performance of Vogue and it was an excellent farewell to the routine. The performance showed good patterns, and was delivered with calmness and confidence; consequently, the team was disappointed to miss the final by a painfully close one point. However, the feedback from spectators was very positive and the team is now excited to be moving on to something new! The XS A team performed their Wicked routine with four Elphabas dressed in green, and four Glindas dressed in silver (unlike at Zala which was danced under WDSF rules dictating that all the women wear the same colour). This highlighted the consideration that had gone into choreographing the patterns, visible to those watching from the balcony. 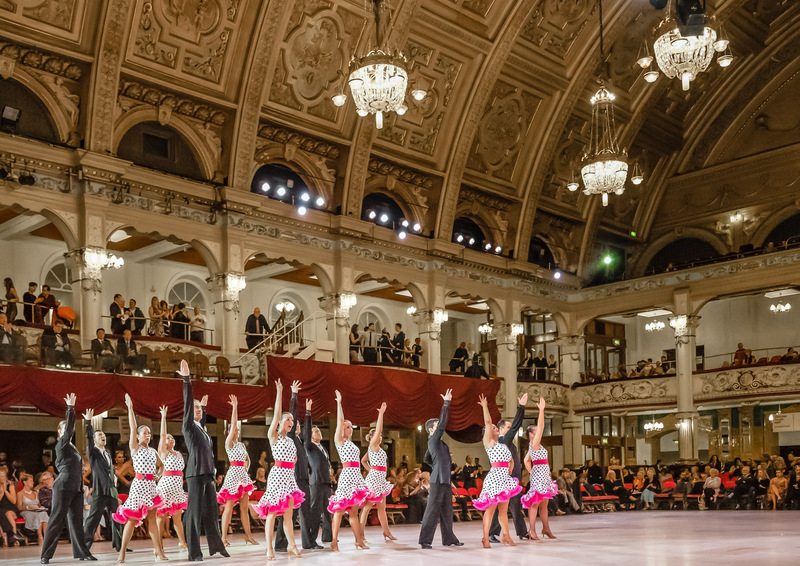 Dancing last in the final, the performance was much improved since Zala; placing second, the team is now ready for the last few weeks of preparation before the World Latin Formation Championships, where they aim to be the top placed British team.